Home » News » Pulimurugan Towards 175 Days in Calicut and Ernakulam !!! Pulimurugan Towards 175 Days in Calicut and Ernakulam !!! Nowadays, it is very rare to see a film to completing 100 days of theatrical run, but in case of Pulimurugan the film is nearing to 175 days of a theatrical run.The movie was released on October 7 and has crossed Rs 150 crore mark already. Pulimurugan is the Mohanlal’s second movie completed 100 days after Oppam at the box office in 2016.Interestingly Mohanlal Telugu Movie Janatha Garage also completed 100 days of a theatrical run.Pulimurugan broken most of the previous records of Mollywood and became the first Malayalam movie to enter 100 Crore Club. 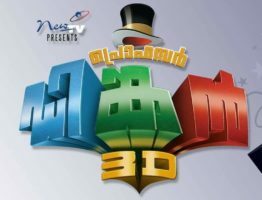 The movie is still running in some theatres in Kerala. Pulimurugan towards 175 days in Ernakulam Cinepolis, Kozhikkod Filmcity and some other B & C class theatres. Despite being the highest ever grosser of Mollywood, The film faced several problems in the journey, including the piracy issues.despite of all that, pulimurugan’s this achievement is another victory of the film industry and the Malayalam cinema. « Interesting Update on Villain- Character Name Revealed !! !